Breitbart shares in a 13 April 2019 article how Ilhan Omar has dragged down Democrat ratings. Considering the number of times that Ilhan Omar has used anti-Semitic tropes (refer to the first and second video below), laughed about Americans’ fear of Al-Qaeda and Hezbollah (refer to the third video), and dismissed the 11 September 2001 attacks on America as “some people did something” (refer to the fourth video), this woman is a one-person Democrat mine field. Again, we have a case of a politician either being willfully ignorant of the Bolshevik revolution, the Cultural Revolution in China, and other socialist uprisings where the rich (or those accused of formerly being rich) were accused and murdered. So this declared socialist tells us through a 13 April 2019 Breitbart article that he did not know that it was a crime to be rich — maybe he should study the history of socialist uprisings. Mr. Sanders, don’t think that we don’t remember last year’s charge from you that people making over a million should pay 52% in taxes. Don’t think that we don’t expect you to lead by example — we expect you to pay the taxes you have been haranguing us about for years. For a change, lead by example. Stop trying to change the subject as you did in the sham of a townhall. Anyone who votes for this idiot is voting for the hope of a government handout before the economy tanks so badly that government programs start getting shut down. Additionally, despite Mr. Sanders assertion that his wealth comes from his having “written a good book,” he amassed quite a holding in the banks, a set of 3 houses, and an expensive sports car purportedly on the six-figure salary afforded to a member of Congress for over 35 years (16 years in the House and a Senator since 2006). Breitbart shows us the shallowness of AOC’s attachment to other minority voters through a 6 April 2019 article. Glad to see that — at least when the heat is turned on — OAC can understand that maybe she should stop emulating Hillary Clinton. According to a 4 April 2019 Christian Broadcasting Network article, it seems that some long-time Democrats don’t like the restrictive laws they passed regarding reports from special counsels. Congressional Democrats are going to battle with the Justice Department, voting to subpoena the full Mueller report on Russian interference in the 2016 election. They say Attorney General Bill Barr’s redacted version won’t be enough. They want to see everything. “The committee has a right and the responsibility to see the full contents of this report,” Rep. David Cicilline (D-RI) said. Attorney General Barr has already promised to get them a version scrubbed of classified material, secret grand jury testimony, and anything related to ongoing investigations or the personal privacy of third parties. Nadler compared Mueller’s report to the release of the Ken Starr report into President Bill Clinton, holding up boxes of information produced by Starr along with “some of the grand jury material” from the Nixon impeachment process. Never mind that some of the same Democrats (i.e., Jerry Nadler) who want Attorney General Barr to break the law by exposing the full content of Special Counsel Mueller’s report were the same lawmakers who changed the law after Special Counsel Starr exposed all sorts of dirty laundry from the Clintons. If Nadler doesn’t like how he wrote the law, maybe he should look in the mirror and give himself a good lecture for a couple of years. If you compare the videos of today’s Nadler demanding to see all of the special counsel’s report to 1990’s (really fat) Nadler telling us why the special counsel’s report violates the President’s legal rights, you get the idea that Nadler must have Dissociative identity disorder. The Hartford Courant reports in a 2 April 2019 article how a Connecticut woman has charged Joe Biden with unwanted advances. A Connecticut woman says Joe Biden touched her inappropriately and rubbed noses with her during a 2009 political fundraiser in Greenwich when he was vice president, drawing further scrutiny to the Democrat and his history of unwanted contact with women as he ponders a presidential run. The weird thing is that, so far, none of these “problems” with Joe Biden are illegal. They’re weird. They’re something that I would not allow him to do to any 14-year-old girl under my care, but they’re not illegal acts. The thing that has been at work here has been the full-blown identity politics that the Obama regime perfected. Well, if you like your politician, you can keep your politician. A 2 April 2019 article on Townhall tells us about more women who have reportedly come forward with tales of impropriety against Joe Biden. Two more women stepped forward on Tuesday and accused former Vice President Joe Biden (D) of sexual harassment. The women, Caitlyn Caruso and D. J. Hill, told their stories to The New York Times. She told the newspaper that the interaction was uncomfortable because she had just discussed a time she was sexually assaulted and expected Biden to be aware of physical boundaries. “Only he knows his intent,” she added. While I don’t come anywhere near Uncle Joe’s politics, this stupid stuff is not criminal. As pointed out by a 6 April 2019 on SFGate, it seeems that Democrats are intent on doubling down on identity politics. In this case, Pete Buttigieg is counting on riding the label of “gay” into the White House. Pete Buttigieg sat in the back of a black SUV with a couple of staffers, sipping a still-steeping cup of tea to ease the fatigue from his suddenly frenetic schedule, when he looked out the window and interrupted himself. Few Democratic presidential candidates could assess their surroundings so bluntly without seeming painfully out of line. But Buttigieg is not like any other Democratic presidential candidate – in part, if not exclusively, because he is gay. Although I did not understand the electorate’s support of a moral reprobate like Bill Clinton, I understand a little of their desire to keep government out of private affairs. Considering that, Obama and his NSA scandal should have been a bigger deal (except for the cover provided by the Democrat press). As we see in a 1 April 2019 article on Townhall, AOC has uttered another set of indefensible statements about FDR. According to her supporters, Alexandria Ocasio-Cortez is a singular obsession of the right-wing media. This framing ignores the indisputable reality that she’s a creation of the mainstream and left-wing media, heralded and celebrated as the fresh face of a new generation of hard-charging progressives. She’s also succeeding in yanking her party leftward, as multiple presidential candidates have endorsed her fanatical and fanciful “green new deal” legislation — although they all scurried behind a wall of “present” votes when the moment to support the resolution actually arrived. Her point is correct, except for the fact that (a) President Roosevelt (who ignored the Washington-set precedent of serving a maximum of two consecutive terms) had been dead for roughly two years when the 22nd Amendment was passed by overwhelming and bipartisan Congressional majorities, and approximately six years by the time it was ratified by the states and implemented, and (b) even if it had been directed at FDR while he were still in office, the amendment only applied to future presidents. It’s also worth noting that Republican majorities were only able to introduce this ultimately-successful amendment because they’d won sweeping landslide victories in the 1946 midterm elections, winning control of both legislative chambers. Also, at least two Republican presidents opposed the amendment, with Ronald Reagan going so far as to urge its repeal. Some dutiful media acolytes are performing their own version of Trumpist ‘translations’ in order to ostensibly demonstrate how AOC was actually kind of correct, if you ignore the actual substance of her core claim. I don’t care whether or not the Democrats auditioned AOC for her abilities before a crowd, this woman and her faux pas are a gift of God to the Republicans. According to one 6 April 2019 Fox News article, even members of the socialist branch of the Democrat party have had enough of the idiocy that comes out of AOC. It’s nice when we can count on these guys to turn on themselves. According to a 19 March 2019 Fox News article, it seems that a previous group has decided that AOC is a persona non grata. Well, at least someone is catching on. Just when good news seems sparce, Breitbart News reports in a 17 March 2019 article how AOC didn’t receive the news of her falling popularity very well. Earlier this week, Breitbart News reported on Ocasio-Crazy’s awful polling numbers as reported by Gallup. There is just no question that as her national profile has exploded, primarily through gushing coverage from the establishment media, it has backfired bigtime with the public. The more people know about Ocasio-Crazy, even though the media’s Vaseline-smeared filter, the less they like her. Although she is much better known than almost all of her counterparts in congress, better known than even Chief Justice John Roberts, a plurality of 41 percent view her unfavorably, a leap of 15 points since September. Meanwhile, her favorable rating has only jumped seven points, from 24 to 31 percent. Right now, Ocasio-Crazy is underwater with the public by double digits, by ten full points. AOC, you made this bed. You get to lay in it. OneNewsNow reports in a 17 March 2019 article that Gallup has confirmed that AOC’s falling numbers. The latest Gallup poll reveals that the public’s opinion of Rep. Alexandria Ocasio-Cortez (D-N.Y.) has plummeted, as the socialist Democrat’s ignorance on issues and shocking ultra-left stances continue to make more and more Americans fearful about the potential damage she can do in Washington. Before the young “rock star” candidate rocked the world by defeating 10-term incumbent Rep. Joe Crowley (D-N.Y.) at the ballot box last November, American negativity toward the self-proclaimed socialist was relatively low, but after her numerous controversial gaffs and oblivious comments exposing her inexperience and dangerous worldview, more Americans are becoming wary about the destructive path on which the left-leaning representative could lead America. Since Americans were surveyed in early September, a shocking upward shift in their negative opinion toward AOC has been discovered, as Gallup’s new poll indicates that the millennial Democrat is scaring off many once-impressed left-leaning sympathizers. Let’s just hope she keeps it up. In a 15 March 2019 OneNewsNow article, news of the unpopularity of socialism comes to light (at least on other-than-main-stream press). “Rahm Emanuel warns Democrats in 2020 not to play to ‘socialist’ type,” a USA Today headline states to begin a March 21 story. Emanuel, the outgoing Chicago mayor, wrote an op-ed for The Atlantic warning fellow Democrats that they are serving up “slow pitches over the plate” to Trump, and he said the Republican president will peel away Democrats over proposals such as the Green New Deal and Medicare for All. Emanuel, a Bill Clinton advisor who later served as Barack Obama’s chief of staff, is not appealing to Democrats out of niceness: he is known as a ruthless political player who once sent a mob-like dead fish to a pollster he didn’t like, and rattled off a list of political “enemies” as he stabbed a steak knife into a table. Let the Democrats make their mistake. A 28 January 2019 Daily Caller article points to the anti-Semitic ties of Rashida Tlaib. According to a 10 February 2019 article in Politico, Ilhan Omar decides to use anti-Semitic language to associate Jews and Republicans (when, oddly, many Jews are Democrats). Although I don’t expect the press to report on her, I expect that this Representative will keep talking the way she always has spoken. As recorded in a 4 March 2019 Townhall article, it seems that Ilhan Omar repeated her anti-Semitic ways. Rep. Ilhan Omar (D-MN) just can’t get past the anti-Semitism issue. She has peddled in such trash before, posting tweets that were very…problematic with regards to this issue. And no, they’re not old. They’re not from high school. They’re from last month. And it’s stuff that isn’t new; Jewish Minnesota leaders had to have a sit-down with her because of her remarks. It was when she tweeted “Israel has hypnotized the world, may Allah awaken the people and help them see the evil doings of Israel” back in 2012. Now, after her “all about the Benjamins” fiasco, which once again peddled old anti-Semitic stereotypes about people of the Jewish faith, money, and influence, these local leaders might not treat her with “kid gloves” anymore. The media certainly hasn’t let her off the hook, reporting on her serial stupidity on this front. Some conservative news outlets also posted articles critical of the comments. And Marshall Wittmann, a spokesman for Aipac, said in a statement that the accusation of “dual loyalty” was alarming. “The charge of dual loyalty not only raises the ominous specter of classic anti-Semitism, but it is also deeply insulting to the millions upon millions of patriotic Americans, Jewish and non-Jewish, who stand by our democratic ally, Israel,” Mr. Wittmann said. We have enough bigots without importing them, putting them on a fast track to citizenship, and electing them to represent the nation. 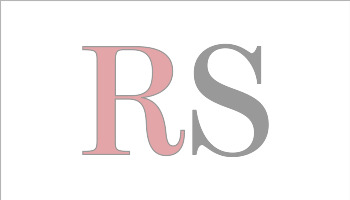 Breitbart reports in a 17 March 2019 article that details how a Reuters reporter has admitted to hiding information that might have damaged the Democrat’s senatorial run in 2018. A Reuters reporter admits he offered to hide damaging information about Beto O’Rourke during the Democrat’s tight Senate race against Sen. Ted Cruz (R-TX). On Friday morning, Reuters journalist Joseph Menn broke the news that, as a teen, O’Rourke, who is now a freshly-minted 2020 presidential candidate, was part of a secret hacking group known as the Cult of the Dead Cow. So, even before he made a deal with O’Rourke to cover up his criminal past (stealing credit card numbers, etc. ), Menn knew it was O’Rourke he was looking for. And all throughout the consequential Texas Senate campaign, Menn chose to hide that information from voters. This is just one more example of how the liberal media (including Google, Twitter, Facebook, Buzzfeed, the New York Times, and much more) covers for Democrats. They act as the communications department of the Democrats, run interference for the Democrats (sometimes by shadow banning on electronic media, sometimes by being aggressive with conservative voices on broadcast media). The crazy thing is that they expect us not to notice it. An 18 MRCH 2019 Associated Press article tells us that Robert Francis O’Rourke claims that nothing in his past will hinder his 2020 run. This makes me wonder what (other than his hacking, his fantasies of running over children, his drunken driving, his criminal record as a burglar, and his cross dressing) he has to hide. Breitbart reports in a 17 March 2019 article how Robert Francis O’Rourke wants to ban a type of gun. If nothing else, it looks like Robert Francis O’Rourke is continuing BHO’s legacy of being a great gun salesman. Get them while you can. 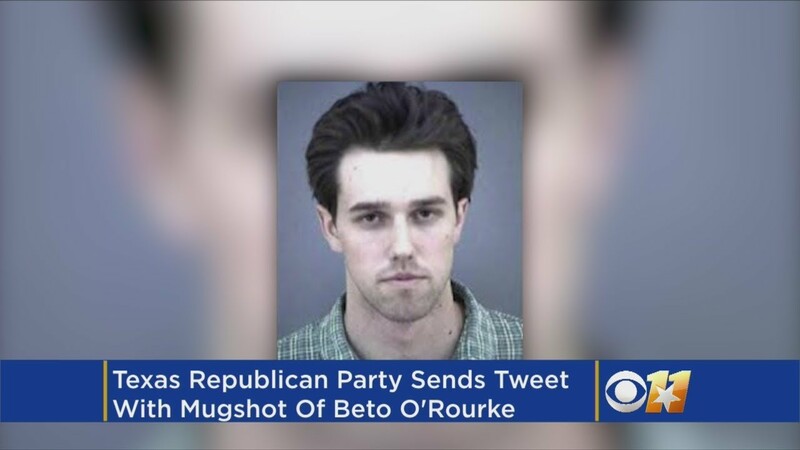 In an 18 March 2019 Breitbart article, we hear about the crybaby response to the tweet of O’Rourke’s drunken mugshot. I fully support pointing out the difference between O’Rourke’s narrative and the documented truth. Don’t you? Breitbart reports in a 18 March 2019 article how, when asked whether he approved third trimester abortion, he dodged the question by saying that the matter should be decided by the woman. To be clear, a baby that has developed to the third trimester can live outside of the womb. That baby has lungs, a heart, skin that feels pain, and eyes. Through another 18 March 2019 Breitbart article, we find “Beto” waffling on whether he has bi-cultural roots. Take a hint from Liz Warren. Lying about your heritage may or may not hurt you in the primaries, but it will be a sore thumb during the general. Believe me, when you are in the general election with Trump, you will not want anything standing out like a sore thumb. Although it will not be news to listeners of the Chris Salcedo Show, Ruben Navarrette tells Breitbart that “Beto” is no Latino. Much like AOC (who we find auditioned for the role of representative), O’Rourke comes to us through the Democrat machine (aka George Soros and other money sources). Breitbart points out how O’Rourke has bested Bernie’s record for raising funds for a presidential run. Reuters tells us in a 17 March 2019 article how they seem to think that O’Rourke falls into the “moderate” range of Democrat contenders. 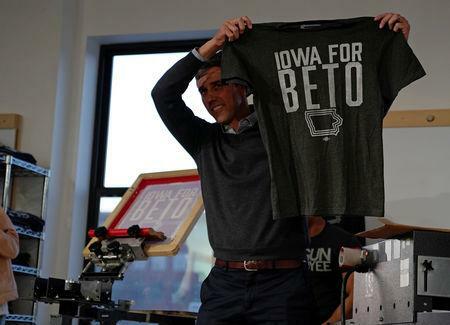 As he had done at several stops in his first campaign trip as a presidential candidate, Beto O’Rourke on Friday climbed atop a counter at a local Iowa business and addressed a small but adoring crowd. People clapped and cheered. Outside, some waited in the cold, hoping to catch a glimpse of him. If anyone believes that, they have not looked at his voting record. In a 20 March 2019 Fox News article, we find that Robert Francis O’Rourke sides with the Palestinians (who have a one-party system and limited elections and who support the families of slain terrorists) over Israel. Never mind that a political machine oiled by Barack Hussein Obama is charging Netanyahu with unsubstantiated charges (much in the same way Trump has been pursued starting with the Steele dossier). Nonetheless, how does O’Rourke come up with the racist claim? Although Obama promised that the man who executed American troops would face justice in Iraq, Cybercast News Service reports in a 15 March 2019 article that the murderer heads a militia in Syria. According to the Israeli Defense Forces Ali Musa Daqduq, a Lebanese national, heads a terror cell comprised of Syrians, based on the Syrian side of the Israeli-controlled Golan Heights. 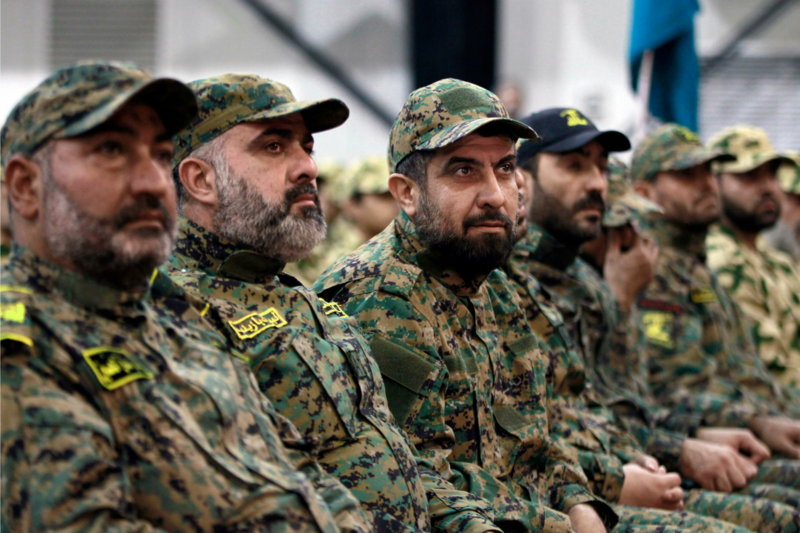 Daqduq, who once served as a bodyguard to Hezbollah chief Hasan Nasrallah, was deployed to Iraq in 2005 as part of an Iranian Islamic Revolutionary Guard Corps (IRGC) Qods Force operation to work with Iraqi Shi’ite militia fighting U.S. troops. Here, we learn how the last socialist-leaning president put Islamists back on the battlefield in order to preserve his nuclear deal with Iran. Now, proclaimed socialists in the Congress want to shut up those who speak against Islam. What qualifies Robert Francis O’Rourke? On the evening of 13 March 2019, Robert Francis (aka Beto) O’Rourke announced on a local Texas station that he would run for the Democrat nomination for president. Following that announcement, the Associated Press and numerous other Democrat mouthpieces fell over themselves repeating the vacuous statements of the former small town politician. Democrat Beto O’Rourke has told a Texas TV station that he’s running for president in 2020. He claims to be proud of what El Paso is doing. What is El Paso doing and why does that qualify this skateboard-riding, lackluster politician for the presidency? Is it that he tried to use his position in government to condemn other people’s property so that his rich father-in-law could build commercial property? Is it that his judge dad got him out of a DUI and a burglary charge on separate occasions? What qualifies O’Rourke? Is it that his dad had the political foresight to nickname his kid with a Spanish nickname? If so, why didn’t he make it permanent? Why didn’t “Beto” use the name when he was at college? What are the Democrats doing to themselves? It’s not odd that none of the presidential candidates at SXSW got any airtime. Every time that this political and economic neophyte opens her mouth, the vacuum inside of her head creates such a rush among the left-leaning “journalists” that it must be akin to standing by Niagara Falls. Nonetheless, in response to her criticisms of FDR, maybe she should look into how President Roosevelt’s policies took America closer to a socialist state before she denigrates him and suggests her socialist program. Regarding her comment on Reagan, unless she has a quotation source more extensive than EBSCO, JSTOR, and the plethora of other library databases available through my local university — she must be lying again. According to a 9 March 2019 Breitbart article covering Thomas Friedman’s statements at CNN, Ilhan Omar is a bridge burner. New York Times columnist Thomas Friedman told CNN’s Smerconish on Saturday that Rep. Ilhan Omar (D-MN) did nothing to build bridges with Jews and Muslims after her recent antisemitic comments about Israel and the American Israel Public Affairs Committee (AIPAC). Friedman said that while Omar had the opportunity to “build bridges” between the Jewish and Somali-Muslims who reside in her district, she squandered that opportunity by repeatedly pushing forth antisemitic tropes. Thankfully, one person on the left (and Mr. Friedman is a constant critic of Trump and anyone on the right) criticizing the anti-Semitic statements made by Omar. Furthermore, it is good to differentiate between criticism of Israel (which is a part of the debate over our foreign policy) and anti-Semitic comments (which constitute bigotry and is unacceptable for a representative). Reuters claims in a 7 March 2019 article that the Democrat party has started to divide over the anti-Semitim charges against Rep. Omar. The U.S. House of Representatives approved a broad resolution condemning bigotry on Thursday after remarks by a Democratic member that some viewed as anti-Semitic exposed an ideological and generational rift in the party. Some Democrats, including several U.S. senators who are seeking the party’s 2020 presidential nomination, warned that party leaders were playing into Republicans’ hands and had stymied legitimate debate over U.S.-Israel policy. The House, which is controlled by Democrats, approved the resolution condemning anti-Semitism, anti-Muslim discrimination and other forms of bigotry by a 407-to-23 vote. The vote came less than a week after Representative Ilhan Omar, one of the two first Muslim women elected to Congress, made statements at a Washington event that were denounced by some as anti-Semitic. The resolution does not mention Omar by name. But Republicans have seized on Omar’s statements and the resulting intra-party conflict as a sign the Democratic Party is fractured. “Unfortunately, I think the Democratic leadership here has made what I think is a pretty serious mistake in caving to this pressure,” said Democratic strategist Peter Daou, who has advised Hillary Clinton and John Kerry. The disagreement began after Omar, in an appearance at a Washington book store, said she feared that statements she and fellow Representative Rashida Tlaib made about foreign policy and the pro-Israel lobbying group the American Israel Public Affairs Committee (AIPAC) would be viewed as anti-Semitic because they are Muslim. “I want to talk about the political influence in this country that says it’s OK for people to push for allegiance to a foreign country. I want to ask why is it OK for me to talk about the influence of the NRA (National Rifle Association), of fossil fuel industries or Big Pharma, and not talk about a powerful lobbying group that is influencing policies?” Omar said. Omar’s critics denounced the statement as playing into the anti-Semitic trope that Jewish Americans are loyal to Israel over the United States. Omar said opposing the policies of Israel and Prime Minister Benjamin Netanyahu is not synonymous with anti-Semitism. Although I don’t believe that a civil war of sorts could be occurring among the Democrats (rather, I think that this is a Saturday-night-Wrestling-type event being staged by the press to make the Democrats not seem so racist — except to the racist audiences that Democrats are playing to) – I say we ought to let them go at it in full view of the American public. This should be covered in the nightly news and not just on the second or third opinion pages of a conservative-leaning newspaper. A Daily Mail article reports on an instance where Ilhan Omar yelled at a reporter who quoted her saying that Obama got “away with murder” on drone strikes because he had a “pretty face.” After the outburst, the reporter released audio proving the journalist to be right. A day after her comments prompted a House vote condemning anti-Semitism, Democratic Rep. Ilhan Omar landed herself in a new controversy by claiming a reporter misquoted her bashing former President Barack Obama – and then releasing audio of the interview that appears to back him up. ‘I was saying how Trump is different from Obama, and why we should focus on policy not politics. This is why I always tape my interviews,’ she added, along with a winking, tongue-out emoji and nearly two minutes of audio. DailyMail.com reviewed and transcribed the recording, which supports what Politico reporter Tim Alberta wrote. First rule of good journalism: have proof of your researched information that does not sit well with the interviewee. Second rule: never pull your punches. The Daily Caller enumerates in a 8 March 2019 article the accused transgressions of Alexandria Ocasio-Cortez. Democratic New York Rep. Alexandria Ocasio-Cortez has racked up several ethics complaints since she began her first congressional term. She has yet to address one of the most damning reports about her campaign team’s actions during the election. Two watchdog groups have filed ethics complaints against Ocasio-Cortez for misusing her resources as a congresswoman with the Office of Congressional Ethics, while another group filed a complaint with Federal Election Commission (FEC) alleging she and her chief of staff set up a million-dollar private slush fund. Ocasio-Cortez’s term officially began in January. Ocasio-Cortez “improperly converted U.S. House resources to her non-official, personal use by obtaining an official ‘@mail.house.gov’ e-mail address for her boyfriend, despite the fact he was not employed by her congressional office,” the Coolidge-Reagan Foundation claimed in a complaint Thursday. I hope that the FBI, the FEC, and all other law enforcement agencies that might normally have a hand in controlling wayward politicians would learn to prosecute liberals the way that they go after conservatives. I would love to see Fox News staked out at AOC’s place in the way CNN was placed for the Roger Stone raid. Fox News reports in a 9 March 2019 article on the provisions of Nancy Pelosi’s HR 1. U.S. House Democrats passed a sweeping anti-corruption and voting rights bill Friday that they said was intended to make voting easier, as well as strengthen ethics rules, while also rejecting a motion to condemn voting by undocumented immigrants. The legislation, dubbed the “For The People Act” or “H.R.1,” passed 234-193 along party lines. Take this bill into mind the next time you have to choose between a Democrat and any other candidate.